What sets a classic apart from a cliche? Both involve a deep sense of deja vu, a time-tested formula, yet the former is like wine that ripens with age while the latter feels repetitive and irrelevant. This is the case with Steven Caple Jr.’s “Creed 2,” which has no real surprises around the corner but manages to create a drama that tugs at the heartstrings with the classic narrative of the “Rocky” franchise. 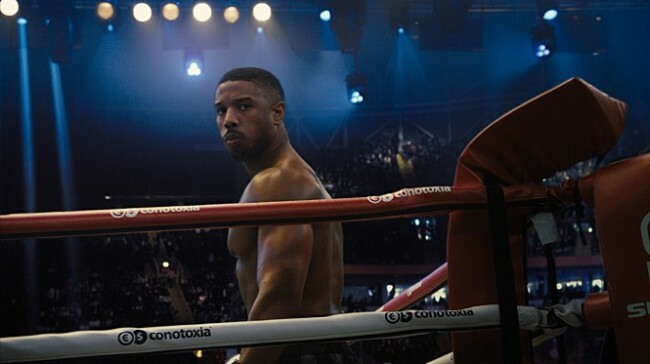 The film begins a few years after the action in “Creed,” with Adonis Creed (Michael B. Jordan) having risen to the top of the boxing world as heavyweight champion, a title once held by his mentor and coach Rocky Balboa (Sylvester Stallone) and his father, the great Apollo Creed. His victory, however, is tarnished by a public challenge from Viktor Drago, the son of Russian boxer Ivan Drago (played respectively by Florian Munteanu and Dolph Lundgren), who killed Apollo 30 years ago during a boxing match. Emotions run high as Adonis takes up the challenge -- risking his relationship with Rocky, who advises against it. Outside of the ring, Adonis starts a family with Bianca Taylor (Tessa Thompson), who is worried that their baby might inherit the disease that is slowly taking away her hearing. For fans of the series, the story basically writes itself. Except that Adonis does not actually die like his father. And this time, neither Rocky nor his son steps into the ring to seek revenge. But the path that the titular character walks is a sort of symbolic death and resurrection. The film depicts the process of Adonis Creed finding his identity. Forever driven yet haunted by the shadow of his father’s greatness, the protagonist’s uncertainty and unwavering drive come across beautifully in yet another spectacular performance by Jordan. Speaking of haunted, Caple delves deeper into the story arc of the Dragos, who are no longer unfeeling machines manufactured by the Soviets. For the Dragos, a man is defined by his victory; their defeat at the hands of Rocky leaves them forgotten and abandoned by their country. The theme of family is prominent throughout as Rocky tries to reconnect with his estranged son, Robert. Thompson does not leave as strong an impression as she did in the first film, but the moments the couple share feel authentic. It is hard to say that Ryan Coogler’s absence does not leave a mark. But Caple does a fantastic job of balancing the intensity with heart. “Rocky” films have always been more about drama than sports, but the matches are where the emotions peak. The director’s ingenious touch on the climactic battle, the camera work, the emotions, the acting and the music explodes in a flood of tears for the audience. Overall, the film follows what is almost a formulaic narrative, but this is not a shortcoming in light of the poignant storytelling. The film opens in local theaters Feb. 21.